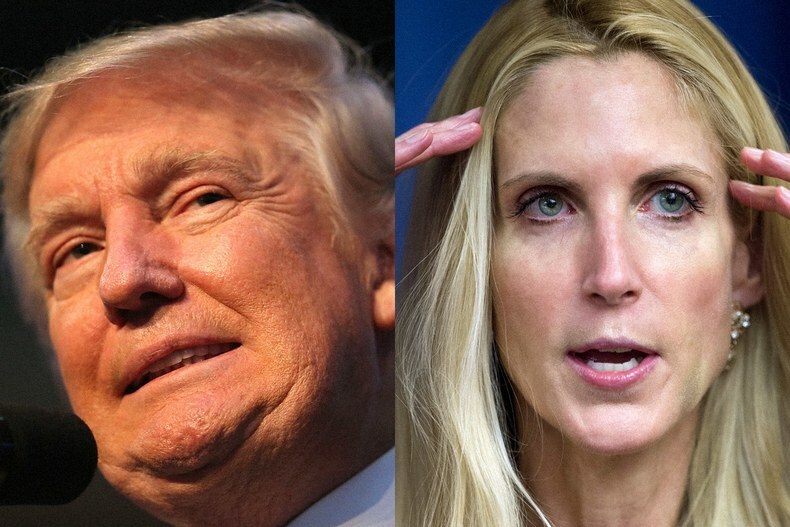 Ann Coulter to Trump: Where. Is. The. Wall? On Thursday, a California jury found seven-time felon and five-time deported illegal alien Jose Garcia Zarate not guilty of murdering 32-year-old Kate Steinle in 2015 in the sanctuary city of San Francisco, Breitbart News reported, despite Zarate’s admission. 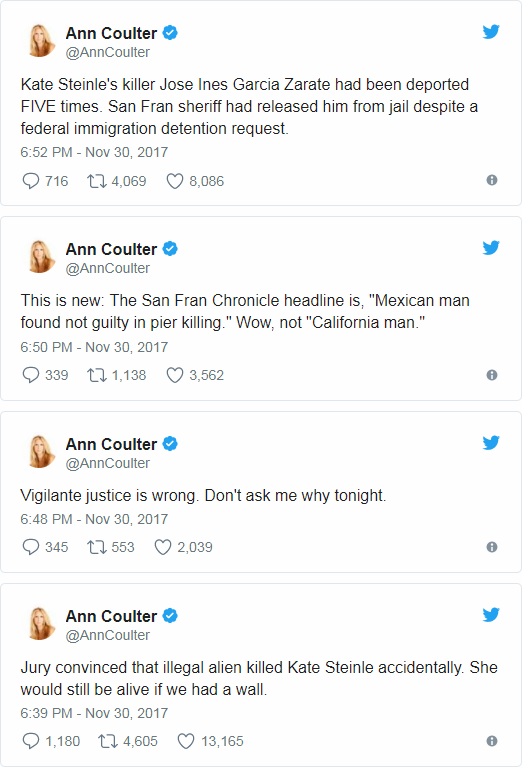 Following the shocking verdict, Ann Coulter took to Twitter to share her disgust with the decision, saying Steinle’s death would have never occurred if a border wall had been constructed decades ago in order to stop illegal immigration in the country.